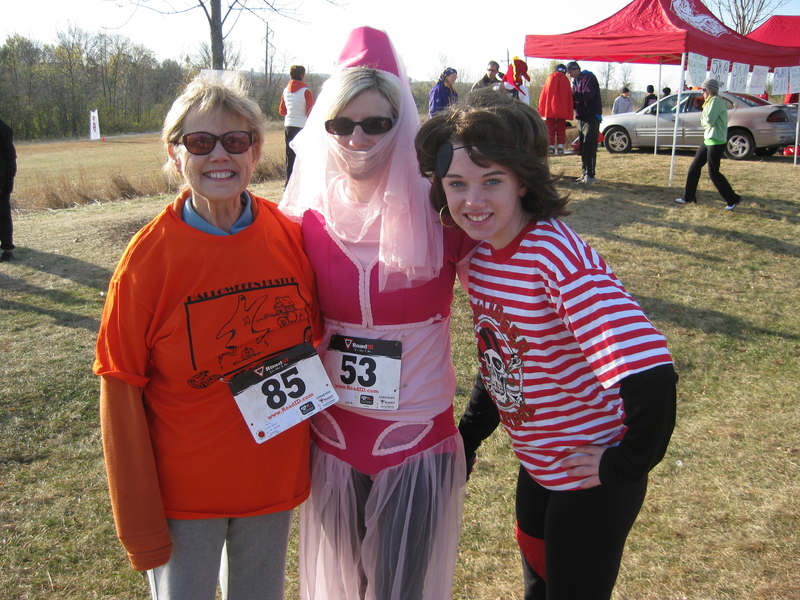 Grandma Dory (my mom) did her first 5k at age 69! She “trained” for it yesterday by running 3 minutes during her normal 3 mile walk. 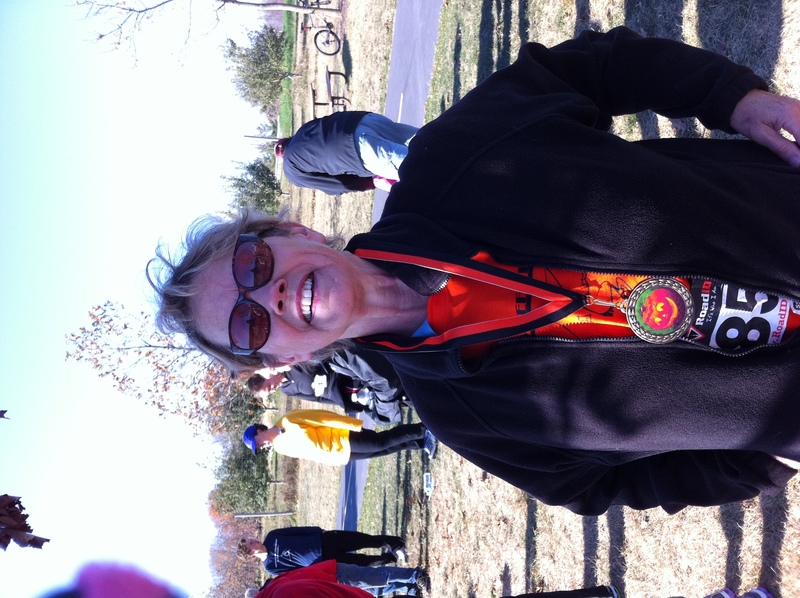 She walked most of it today, but had a great time and took the medal in her age group (female 60 – 69). 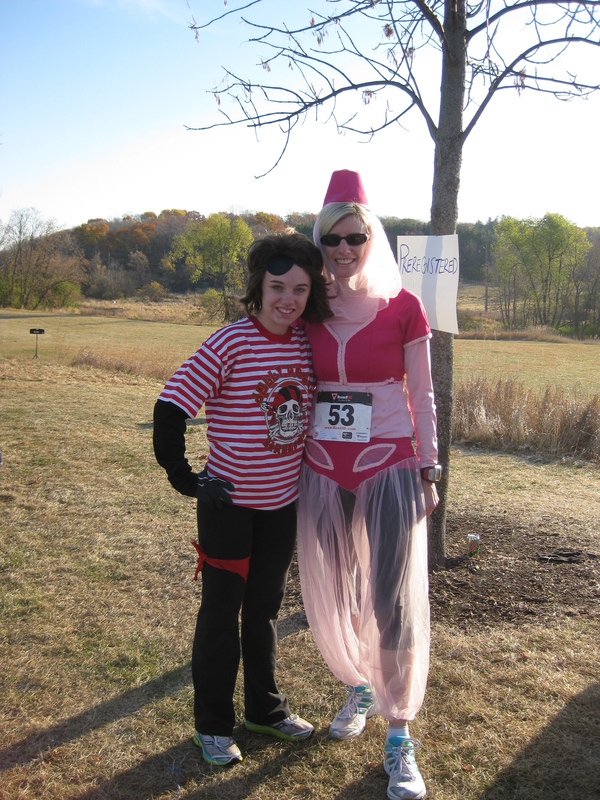 Nevermind that she was the only one in the age group. She won! And wore the medal proudly afterwards! I won Best Costume! No surprise when it’s high school boys judging. And when not that many people actually dressed up! 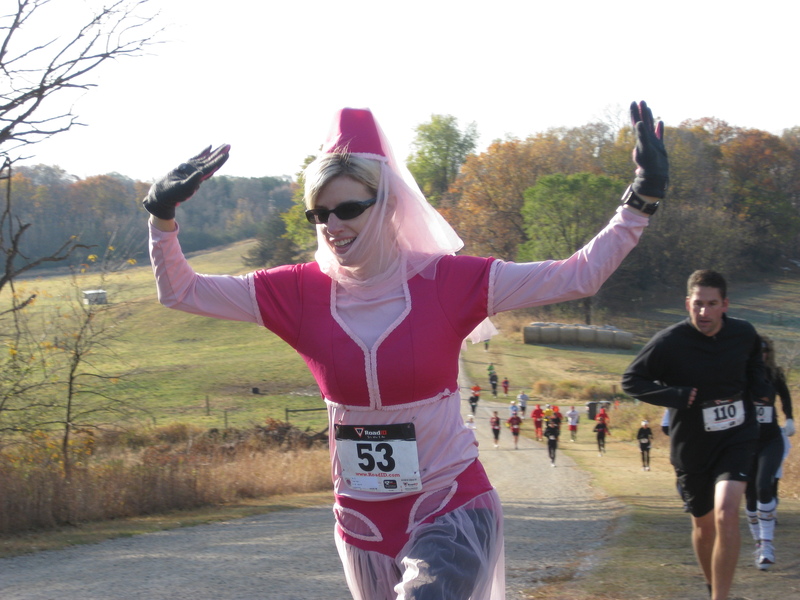 Though I have to say this I Dream of Jeannie costume was much sexier 10 years ago when I had abs and without my running shirt, tights and garmin with it! Scored a cute pink Brooks tech shirt. My time was 24:37, which is definitely not a PR, but I was happy considering this is a hilly tough course and I haven’t done any speedy stuff since Twin Cities. 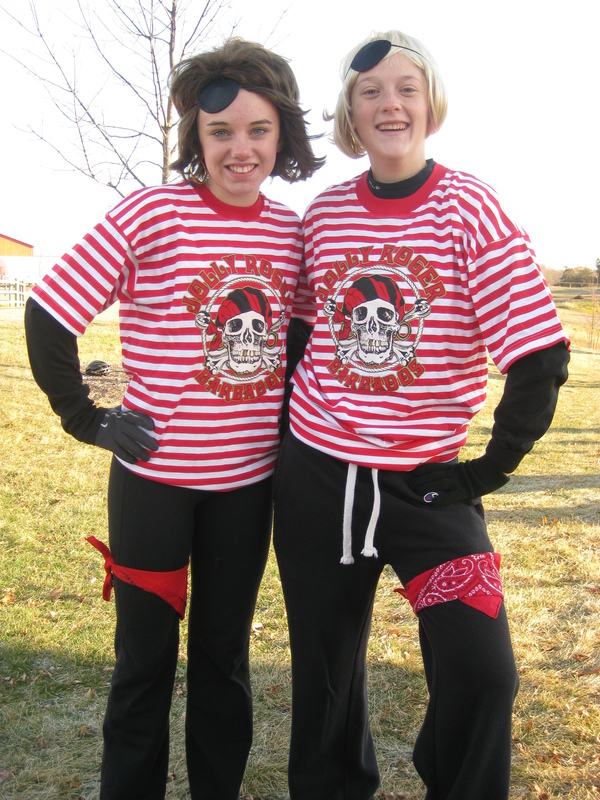 Meg and her friend Mackenzie dressed up as scally-wag pirates! A beautiful day for a 5k fundraiser! Now it’s time to bond a bit more with Meg with some shopping at the mall! Running 26 miles, but unfit!